The ways on how to arrange a living room around a fireplace will guide to you to get a wonderful gathering space at home. If the arrangement of the sofa, coffee table, and armchair is very poor, the occupants at home will be uncomfortable spending their time here. The layout and arrangement of the furniture is determined by the placement of the fireplace, wall space, shape and size of the living room. All of them are the important factors that you have to consider. If you are confused to arrange the side chairs, cabinet or even sectional sofa, look at the detail post below for more information. Grouping the furniture pieces in the living room around the fireplace should be conducted for the first time. 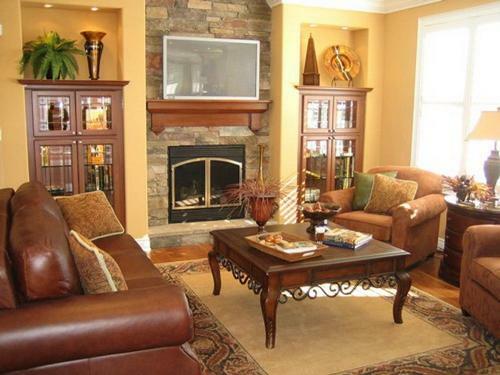 If you have a very small living room, you have to expel the decorative furniture pieces. You just have to keep the important ones to give you more traffic flow. The fireplace should become the center of the living room. Thus, all pieces should be directed on the fireplace. The fireplace should become the main source of attraction in the living room. When the people access this space, they will always want to sit near the warm fireplace. It is okay for you to match the fireplace with a flat screen TV. Thus, you can use the living room not only as a gathering space during the winter season. It can be used as an entertainment space for all people. It can be the best room in the house. You can create an anchor in a small living room with fireplace using a wonderful rug. 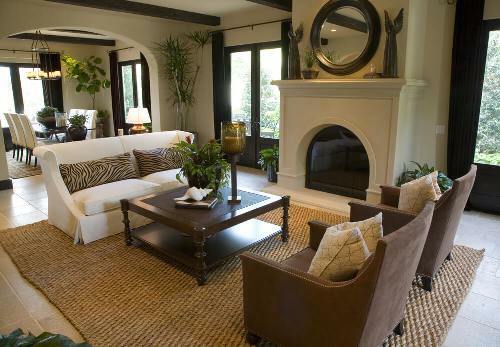 You can choose a round rug or an oval rug to evoke unique design. If the fireplace is located in the corner area, use the angular furniture arrangement. Use the compact sectional sofa and put it out of the focal point to create a V shape. 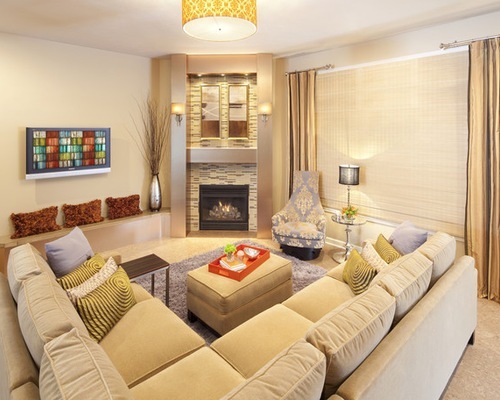 Check guides on how to arrange a living room with a TV above fireplace here. 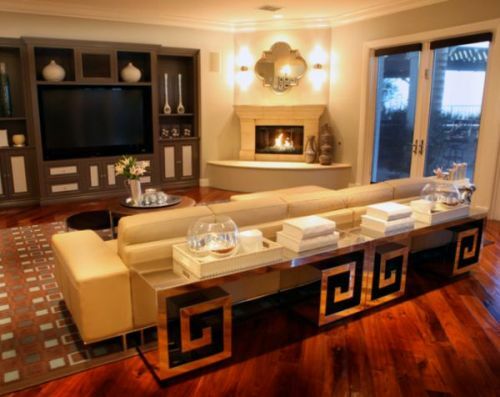 If you have a very large living room with a fireplace, it is okay to evoke the big and bold effect. You can adorn the fireplace mantel with different kinds of pictures or mirrors. Get ideas on how to arrange a living room around TV here. 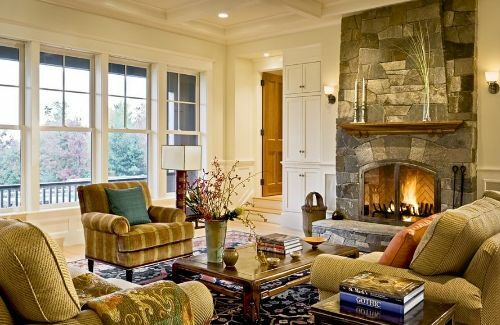 Do you like reading ways on how to arrange a living room around a fireplace?